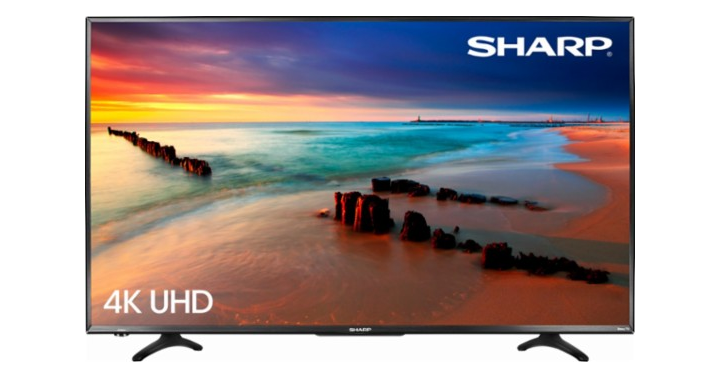 Sharp 43″ LED 2160p Smart 4K UHD TV with HDR Roku TV – Just $249.99! Check out this great HDTV deal. This Sharp Roku TV features integrated Roku streaming technology. It turns up the detail thanks to ultra-precise 4K resolutions that deliver four times as much detail as Full HD, creating complete immersion in your favorite movies or sports. Detailed contrasts and precise color rendering keep you watching this Sharp 43-inch TV. Head on over to Best Buy and get the Sharp 43″ LED 2160p Smart 4K UHD TV with HDR Roku TV for just $249.99!